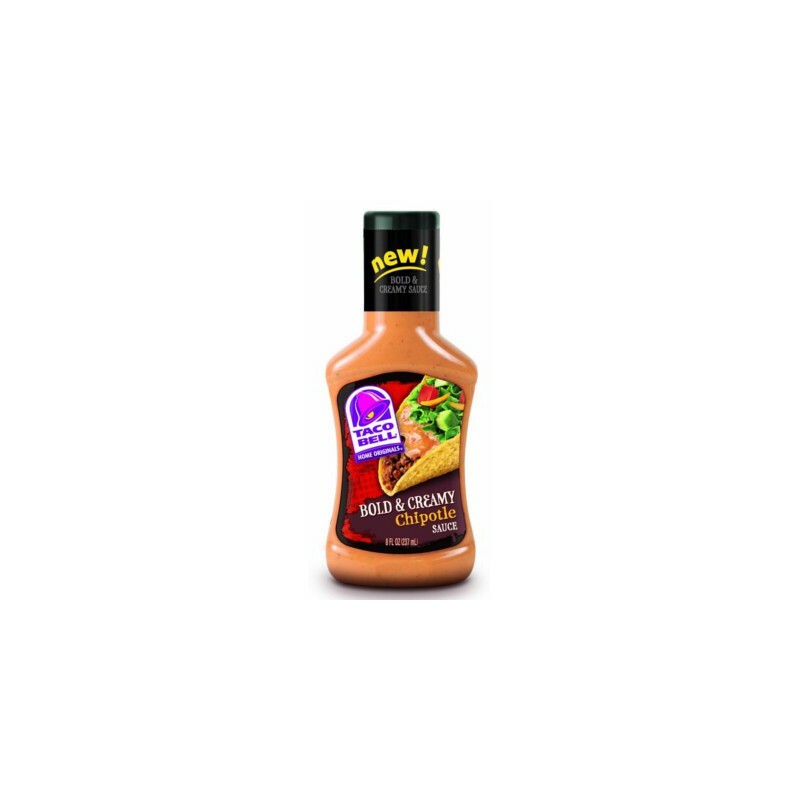 A popular Tex Mex condiment made from sundried, smoked chipotle chilis, Taco Bell's creamy chipotle sauce is just what you need for the perfect American taco! This creamy, spicy, smoky sauce is excellent for accompanying chicken, beef, fish, and grilled vegetables, and tastes great on sandwiches, too! 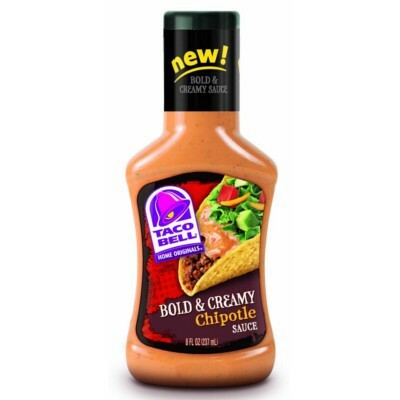 Si quieres Taco Bell, don't forget to take a look at the rest of our selection of sauces and spices from America's favorite Texmex restaurant chain! 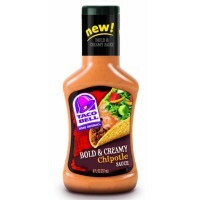 Soybean oil, water, whey (milk), vinegar, dried buttermilk (milk), salt, egg yolks, sugar, less than 2% of: maltodextrin, modified food starch, dried garlic, chipotle chile pepper puree, spices, garlic juice, dried onions, acidity regulators E330-E338, chipotle chili pepper, thickening agent E415, dried red bell pepper, natural flavor, flavor enhancers E631-E627, paprika extract, natural smoke flavor, preservatives E200-E385. Contains GMO. Nutrition facts (for 100g): calories 379Kcal, total fat 37.9g (saturated fat 5.2g), total carbohydrate 10.3g (sugar 3.4g), protein 3.4g, salt 2.6g.